This morning dawned muggy, misty and somewhat rainy, and since we've had 2 more kids down with fever/sniffles for the last 2 days, we decided to find a fun, indoor activity to occupy us today. So we sent Paul off to the farmer's market bright and early in search of good carving pumpkins (and cooking pumpkins, butternut squash and cider). 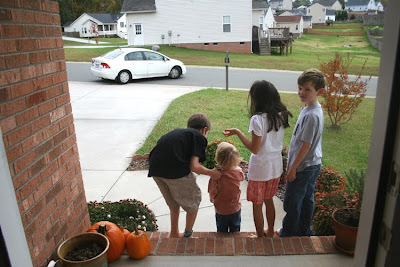 The kids were anxiously waiting on the porch for him to return. 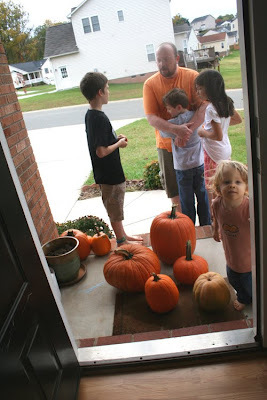 He didn't disappoint and returned with several lovely pumpkins for us to carve. 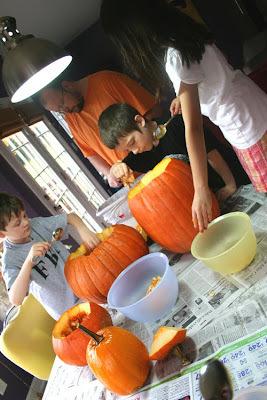 The kids set about seriously drawing various faces to help them figure out what they wanted to carve on the pumpkins. 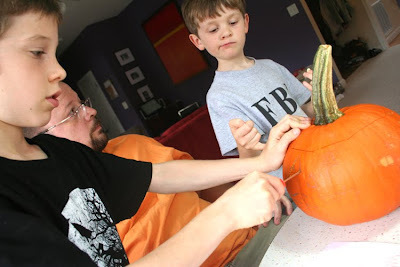 Then the pumpkin gutting began! Even Finn was a big helper. 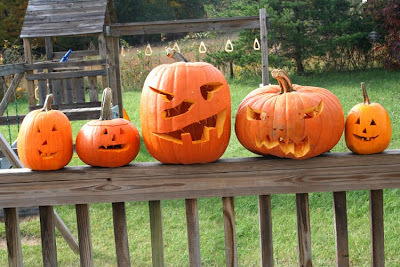 All of the older kids carved their own pumpkins. 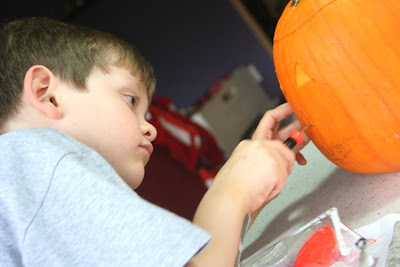 This is the first year we've let them handle the carving knives and saws on their own. 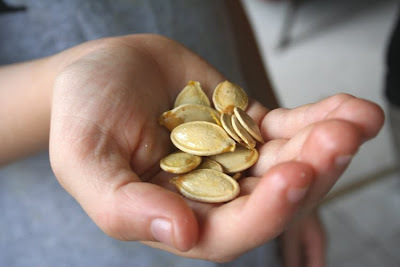 We munched on roasted pumpkin seeds while we carved, of course. And eagerly anticipated nightfall so we could enjoy them in full glory. Ooh, what scary, glowing faces! 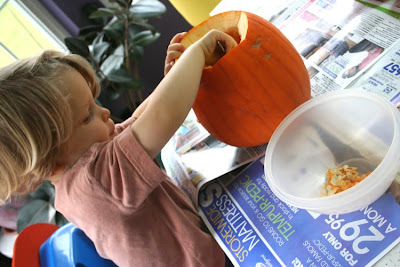 I think we are doing our pumpkin tomorrow. What fun! And they turned out great! Those jack-o-lanterns are terrific! I love that picture of them all together. 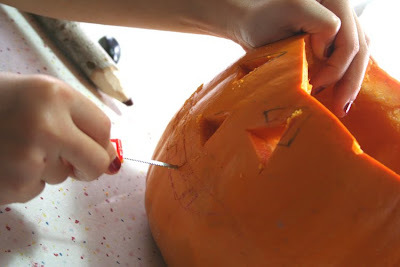 I need to get to carving sometime this week...Halloween is sneaking up on me! I love the before and after shots at the front door. The pumpkins look fabulous! 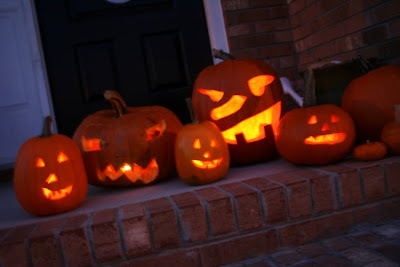 Really great jack-o-lanterns! 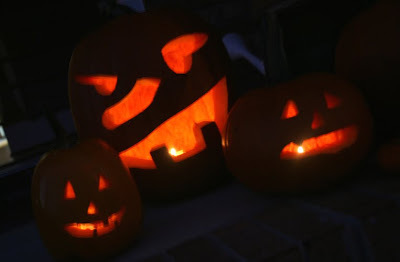 We are carving ours tonight!! Can't wait to see how they turn out! This is on my to do list this week. and make cookies. 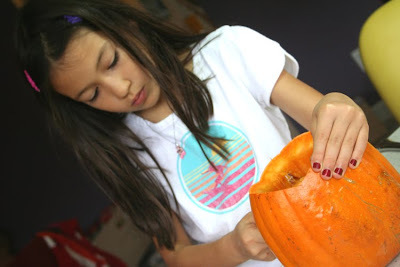 and make pumpkin muffins. and find me a costume. 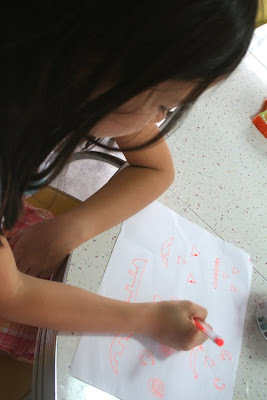 to show how you teach your kids at home. very nice!